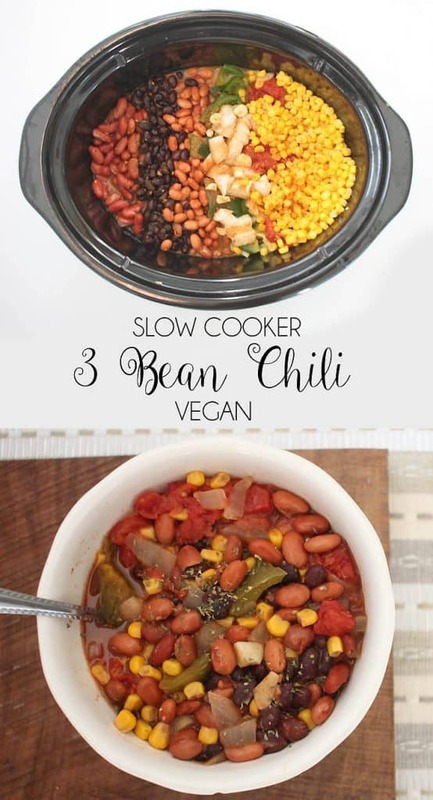 I recently bought a slow cooker and let me tell you, I don’t know how I ever lived without one! There’s something so satisfying about dumping a bunch of ingredients in the cooker and having a delicious, healthy meal hours later with no effort! 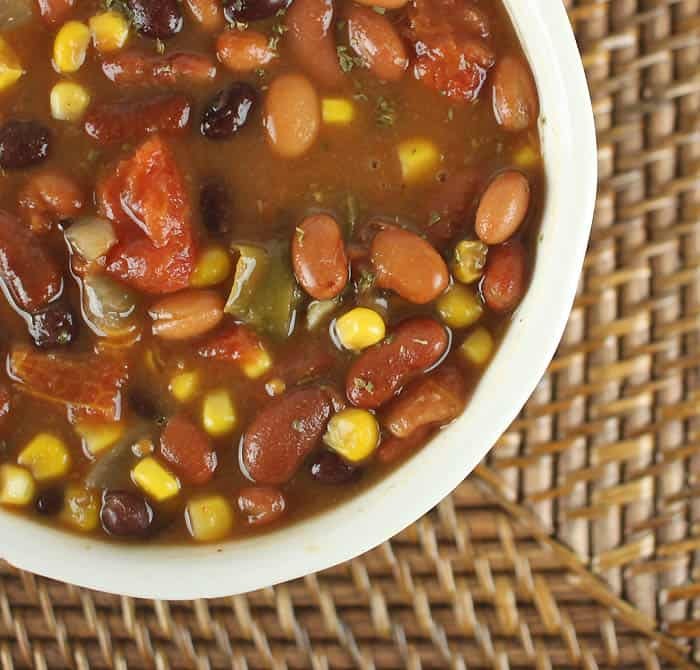 I’ve been experimenting with a lot of recipes and this Slow Cooker Vegan 3 Bean Chili is at the top of the list! 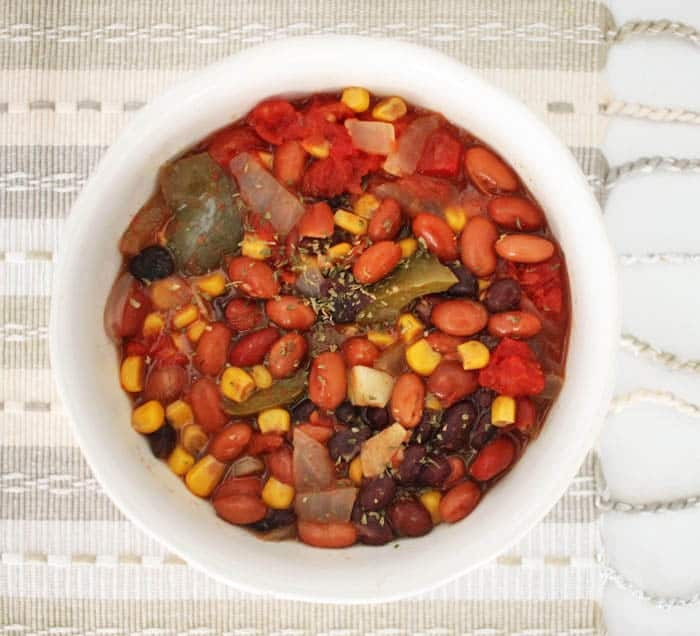 I make this vegan 3 Bean Chili once a week. Indigo loves it too. It’s so tasty and also really filing. Plus, it leaves plenty for leftovers! Put ingredients in a slow cooker and cook for 4- 4 1/2 hours on low.